About — COLD WATER CREEK FISHING CO.
Who is Cold Water Creek Fishing Co? Based out of Hunterdon County, NJ, we specialize in guided fly fishing trips throughout the Garden State. Whether you want to pursue trout, bass, or carp, we can help. Our fast paced state is chock full of creeks, brooks, rivers, and lakes filled with fish of all kinds. Some are stocked, but many more are populated with wild fish too. If you've ever kicked around the idea of fly fishing, or are just looking to fine tune your skills and hit the water, CWC can make that happen for you in a rewarding learning experience. Rich has been an avid fisherman since the age of 6. Summers were filled with the joy of catching sunfish and the occasional trout. At age 15 he got his first Orvis fly rod as a hand me down from his uncle. Over the years he has honed his fly fishing skills. Rich loves passing on his knowledge to beginners in the sport of fly fishing. 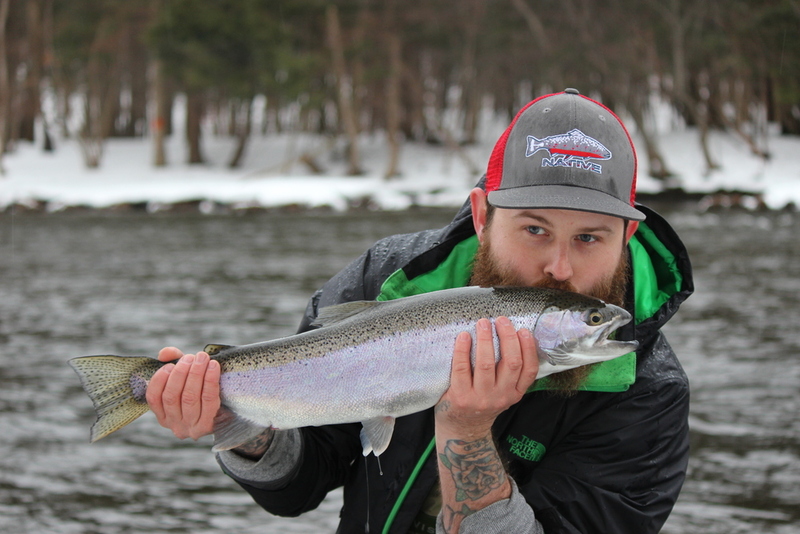 Rich is an enthusiastic angler, fishing all four seasons, even in snow and rain! He most enjoys chasing small wild trout in tiny creeks and tributaries. Fishing is his true joy in life. Since the time he was able to hold a fishing pole Christian has been obsessed with catching fish. From small creeks to rivers, lakes and oceans, anytime he saw water he had to fish. At 12 years old Chris started fly fishing, the strategy and challenge of the sport took hold of every waking moment in his life. By the age of 18 he had fly fished a number of the well known streams and rivers in the U.S. Rocky Mountains, as well as southern British Columbia. At 19 years old Chris attended a guiding course with World Cast Anglers in Idaho and left as a certified drift boat guide on the Snake River, the rest is history. Mike enjoys all kinds of fishing, but fly fishing for trout is at the top of his list. It doesn't matter if he's casting foam dry flies at rising trout in mountain valleys, fishing technical nymph rigs in high water, or swinging wet flies and streamers, Mike's passion for chasing wild trout in wild places never ends. Mike is also an avid hiker, hunter, and former lacrosse coach.